The perfect set for a special gift. For future husband and wife, your wedding witnesses, your father or mother. 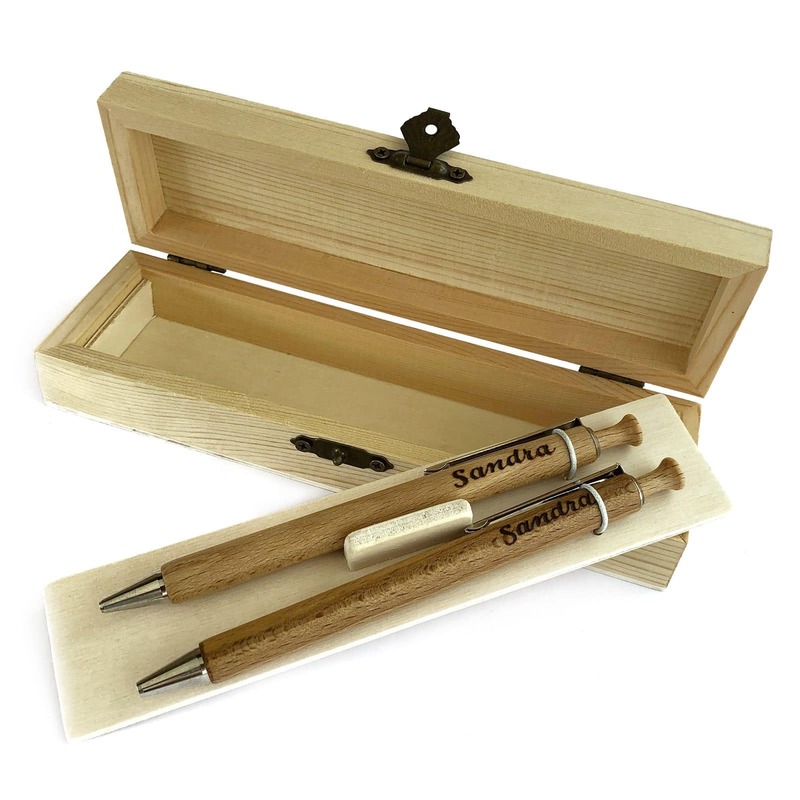 You can customize both the case and the pen and the mechanical pencil. We can customize it with name, date, a design (in the case). 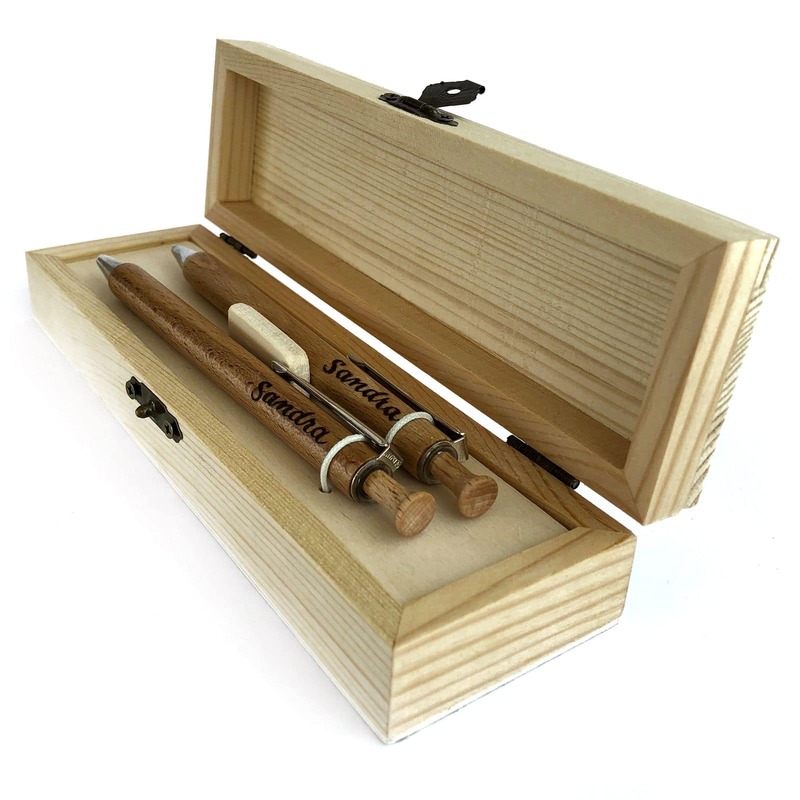 Tell us how you want your Set: Tell us what you want and we will make it to you (examples: <"Carla" in the pen and the pencil and "Carla + Flowers" in the case>, <"Marta & Carlos" in the pen and mechanical pencil and "Wedding logo + date" in the case>). Upload your photo or design: Sometimes a picture is worth a thousand words, so if it's difficult for you to explain with words how you want your case and it's easier to send us a sketch or a sample image so that we can copy, here you can do it. This section is optional, if with the words it's already clear you don't need to attach any image. Pine wood case with removable splint. Includes blue ink ball pen and 0.7mm mechanical pencil. Both elegant design made with beech wood with FSC certificate. They have a metal clip with a conical shape and a wooden button. The metal parts are Nickel-plated. All finished in natural wood. 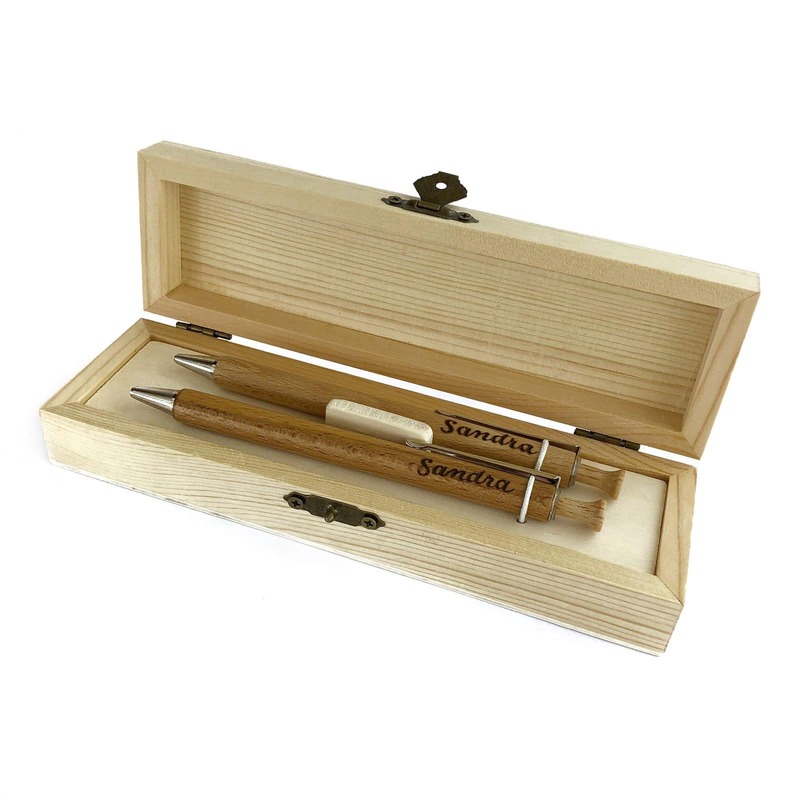 Dimensions Pen and Pencil: Diameter 10mm, 140mm long. Weight Pen and Pencil: 10g. If you want to see more examples of our sets click here.